The Runnymede-on-Thames is a family friendly 4-star hotel, with gorgeous riverside dining and an award-winning spa there is so much to do both at the hotel and in the surroundings. This hotel is all about its peaceful location and view. Located on the banks of the Thames is stunning and you will find it hard to believe that you are only 7 minutes from Terminal 5 and 15 minutes from Terminals 2-4. The hotel has an extensive range of heath and fitness facilities. Outdoor facilities include the river of course and boats to hire, and there is also an outdoor pool and tennis courts. Indoors there is a full health and fitness spa with full gym, swimming pool, sauna and spa facilities. The guest rooms are like a home from home, with super-comfy beds with feather bedding and crisp white linen. The decor is modern and peaceful and your room comes with all the gadgets and mod cons you can dream of. The bathrooms are modern and spacious and come with luxury toiletries. Children are also well catered for and there are family rooms, children's menus and entertainment. Children are also welcome to use the sports and swimming facilities. Heathrowparking.com has a great hotel park and fly package that includes meet and greet parking from your terminal. On the morning of your flight simply drive to the airport and drop off your car. When you return your car will be returned to you. No fuss, no hassles. 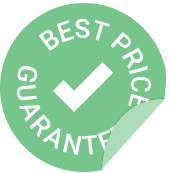 And all at the best price guaranteed. Have we mentioned the view? The Runnymede-on-Thames is set right on the pretty banks of the River Thames as it snakes through Surrey past Windsor towards London. The hotel is very quick and easy to find as it is located just off junction 13 of the M25. It is also just 7 minutes to London Heathrow Terminal 5. There is free parking for all guests at the hotel. The hotel park and fly package includes meet and greet parking at the airport so you will not need to worry about where to park your car or transfers to the airport. The restaurants at the **Runnymede-on-Thames all have lovely views over the river. The Lock Bar and Kitchen is perfect for a delicious informal meal. The Leftbank has a great buffet dinner which is perfect for children. Friday and Saturday evenings, and throughout school holidays they offer a Ducklings dinner with all the kids favourites. There are a range of room types available including family rooms. There are also accessible rooms available that have been designed with specially modified bathrooms, low king sized beds, wide doors and extra space. This hotel is bursting with things to do. Guest rooms come with all the mod-cons and gadgets as well as super comfy bed and luxury bedding. Family rooms are available. The Spa has a swimming pool, spa and steam rooms as well as offering a full set of treatments. Outdoors you have another pool, tennis courts and the river to play on.